Calphalon 12" Nonstick Griddle Just $39.99! Down From $80! PLUS FREE Shipping! You are here: Home / Great Deals / Amazon Deals / Calphalon 12″ Nonstick Griddle Just $39.99! Down From $80! PLUS FREE Shipping! Calphalon 12″ Nonstick Griddle Just $39.99! Down From $80! PLUS FREE Shipping! Head over to Amazon to score the Calphalon 12″ Nonstick Griddle for just $39.99 down from $79.99 PLUS FREE shipping! The Calphalon Signature Nonstick 12-inch Round Griddle Pan combines nonstick convenience with the cooking performance and durability you’d normally find only in stainless steel cookware. Made with a Sear Nonstick interior to evenly cook food, this griddle pan has a shallow profile and is ideal for all your breakfast and brunch favorites including eggs, pancakes, crepes, and more. The brushed stainless steel long handle stays cool while cooking on the stovetop. 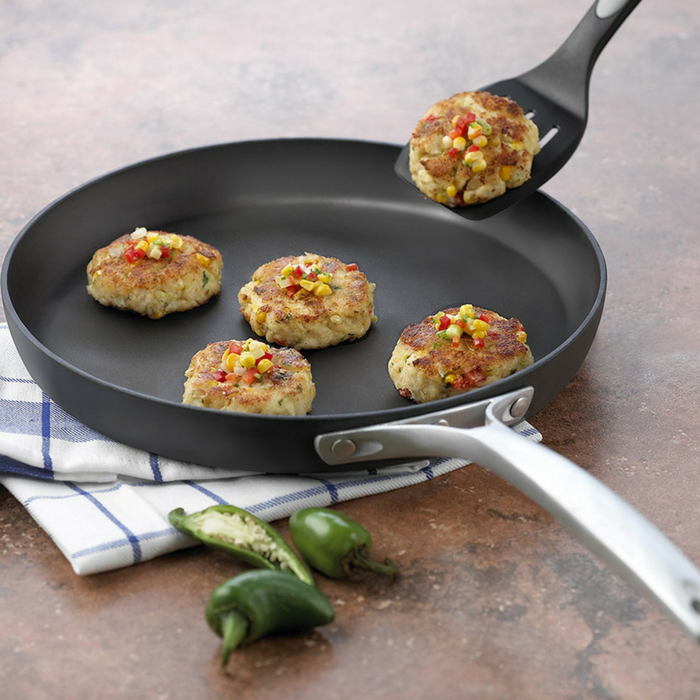 For added convenience, the pan’s nonstick surface is durable, so you can cook with metal spatulas, spoons, and whisks. The pan is also oven and dishwasher safe.